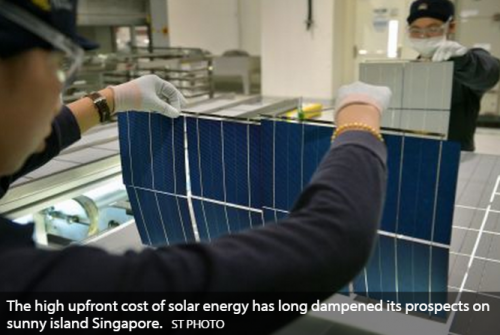 THE high upfront cost of solar energy has long dampened its prospects on sunny island Singapore. But the clouds may have finally cleared with a wave of business models that is sweetening the prospects of solar energy. Now, a second wave is underway, which may spur further uptake. Technology breakthroughs have already lowered the cost of solar photovoltaics (PVs), which has tumbled about 75 per cent since end-2009, but the upfront costs of installing rooftop solar PVs can be daunting. Industry estimates show that the installation of a typical residential solar system here costs between S$15,000 and S$25,000, depending on the types and sizes of the rooftop. Existing business models have already ramped up solar energy capacity here. Now, new models are emerging, to plug the gaps in the system. Acknowledging the limitations of solar energy, which still cannot account for a customer's full electricity consumption, Singapore-based solar equipment manufacturer REC Solar in March partnered local gas-generated utility provider PacificLight Energy to deliver a blended electricity solution to customers. Through this programme, REC provides solar energy to customers through a 25-year power purchase agreement (PPA) deal, where customers pay for the power consumed from the solar PV installation on their rooftops, which REC owns. When the rooftop solar PVs are unable to fulfil the customer's energy demand, PacificLight provides gas-generated power. This offering provides a one-stop shop for customers hoping for energy stability, while gaining exposure to clean energy, Jen Tan, REC vice-president of sales and marketing in Asia-Pacific, told BT. To date, the programme is still in its prospecting phase, with six proposals sent out to companies here. Customers yearning for further flexibility in solar energy participation can opt for Sun Electric's SolarSpace programme, which connects owners of rooftop spaces with customers who want solar energy. The two-year-old Sun Electric is the first solar company in Singapore to obtain a retail energy licence in 2014 from the Energy Market Authority. Under Sun Electric's SolarSpace programme, a contestable electricity customer can now obtain solar energy without owning a rooftop. 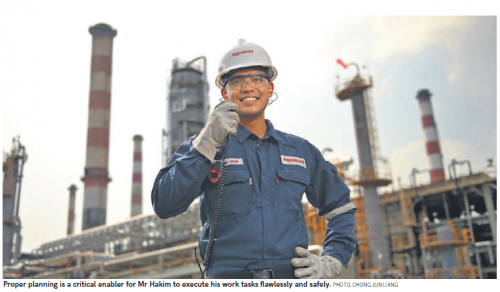 To be contestable under Singapore's guidelines, a commercial or industrial consumer must have an average monthly electricity consumption of at least 4,000 kilowatt-hour (KWh), or 2,000 KWh from July 1 onwards. Sun Electric is also a participant of the Singapore Exchange's newly launched electricity futures market, which allows the trading of standardised contracts of electricity products into the future at specified prices. The futures market allows the company to hedge against risks of adopting solar energy, and to procure its customer's baseload power supply when the sun is not shining, said its founder and managing director, Matthew Peloso. By August, Sun Electric should have completed its solar test-bed programme with JTC Corp and Spring Singapore, which will allow it to begin integrating additional solar PV installations into its SolarSpace programme. Today, the company has already sealed 2.5MWp worth of solar installation projects. Meanwhile, exchange platform SolarPVExchange last month launched Sunvest on its website. The new crowdsourcing feature allows investors to pump in a minimum of S$50 into solar projects for twice-yearly payouts. With Sunvest, building owners can seek investors both within and beyond Singapore, and given the smaller investment lots, investors can gain exposure to solar energy according to their risk and investment appetite. 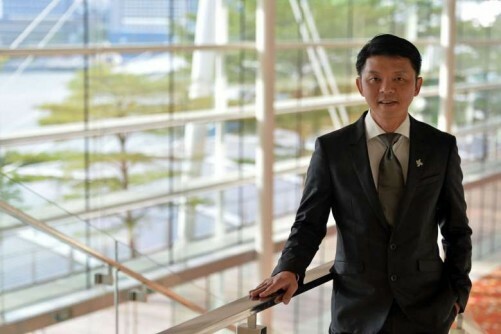 "Solar PV owners whose projects are already running and producing energy can also use the platform to crowdsource their existing projects and use the new liquidity from investors on other opportunities," SolarPVExchange managing director Rob Khoo told BT. Two business models prevail in Singapore today - direct ownership and solar leasing/PPA, said Goh Chee Kiong, executive director of cleantech at the Singapore Economic Development Board. Under direct ownership, customers pay for the solar PV installation with cash upfront. But those unable to afford the high costs may opt for a hire purchase agreement, where the customer pays a fixed monthly fee to the financier until the original cost of the solar asset, coupled with accumulated interest, is fully repaid. Meanwhile, solar leasing, which in Singapore is interchangeable with the term PPA, occurs when the solar PVs installed on a customer's rooftop are owned by a third party. The customer, in turn, pays for the electricity consumed from the installation, which is charged at a competitive rate to retail electricity tariffs. Such agreements tend to last for about 25 years. Singapore's largest solar leasing company to date is Sunseap Leasing, which won the Housing Development Board's 38 megawatt-peak (MWp) solar leasing tender in October last year. Meanwhile, REC inked its first PPA deal here in April. Solar energy adoption is further facilitated by SolarPVExchange, an online platform launched in September last year which connects customers with solar installers. Mr Khoo told BT that the platform has shortened the process of closing deals by 30 to 40 per cent, by filtering out bogus enquiries. To date, SolarPVExchange has closed deals totalling 12MWp of capacity. In return for each deal it closes, the exchange collects a 4 per cent commission from the installer. "The efficiency of solar panels has not improved by leaps and bounds, only prices have," said Mr Khoo. As at the end of the first quarter this year, the total installed capacity of solar PVs was 33.8MWp, up from 18.7MWp in the year ago period, data from EMA, Singapore's electricity industry regulator, shows. But that figure excludes several sizeable deals that were recently announced, but have yet to be installed. 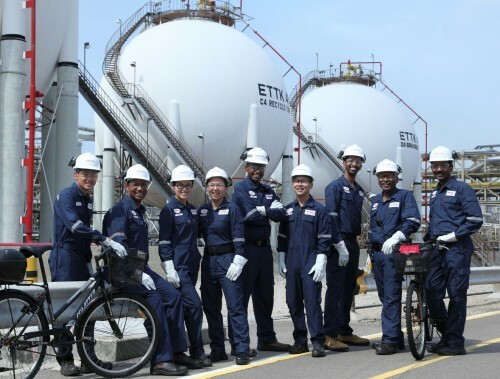 By 2020, the Singapore government, through its SolarNova programme, aims to install 350MWp, or 5 per cent of Singapore's current peak power consumption, of solar energy capacity. Recognising the growth in renewable energy, especially solar power, EMA in 2013 raised the threshold for intermittent power generation, or the energy that is not continuously available due to external factors, from 350MWac (455MWp) to 600MWac. The regulator is still reviewing the reserve charge for intermittent power generation above 600MWac. Despite the rising adoption of solar energy here, challenges still prevail for Singapore's solar sector, the biggest being the fact that Singapore's small hinterland limits the number of rooftops and the amount of open spaces available for solar PV installations. A trading licence is also required for owners with systems of 1MWp and above to sell their excess energy back to the grid. The policy was implemented to control the flow of intermittent energy back to the grid and has deterred those looking to adopt solar energy from directly purchasing larger-scale solar PVs, said Sunseap's Mr Phuan, whose company took a good nine months to obtain a wholesale (generation) licence. The absence of feed-in-tariffs for excess solar energy that is pumped back into the grid is another hindrance. While adopted in neighbouring countries such as Thailand, Indonesia and Malaysia, to incentivise the deployment of renewable energy projects, EMA has stated that subsidies run contrary to its role of ensuring cost-competitive energy prices. Still, with all said and done, a mindset shift is needed to further boost the uptake of solar energy. Said SolarPVExchange's Mr Khoo: "The technology and financing is already there, but some people still think it is too far-fetched."